Do you have an investment strategy you can stay with; even during the bear market? The money our firm manages is not our money, it's our clients past and future wealth. We take that responsibility very seriously. We believe in proper diversification, accurate risk assessment, and capital markets. Legacy Wealth Management provides comprehensive holistic wealth management, retirement and estate planning and life planning focused on wealth preservation for generations to follow. Working with a safe and trustworthy wealth manager is paramount, and clients often rely on frequent interactions to evaluate whether their financial advisor will meet their long term planning needs. Legacy Wealth Management Group will not only customize your retirement portfolio to fit your needs, risk tolerance, and goals but we will always educate you on why this plan was designed specifically for you. Financial Advisors at Legacy Wealth Management Group spend the time to get to know you, we take a comprehensive analysis and provide a unique investment strategy designed to meet each clients specific goals and planning objectives. Our portfolio construction process is designed around methods and research use by Noble Prize winner Eugene Fama through Dimensional Fund Advisors; DFA. Our portfolio’s are designed around low costs & tax efficiency while utilizing investment strategies that have been time tested through multiple economic changes to ensure proper asset allocation of your investment portfolio. Wealth provides you with a great deal of opportunity; however, it also creates a variety of important questions. Do you have a wealth management plan, a properly allocated retirement plan that you can understand; one that will last you through the wide range of market swings? Do you understand how to diversify and use strategies that are proven through academics? Are you taking the correct approach to tax strategies and estate planning? Does your financial advisor review your entire portfolio and manage your risk on all your investments? We ask a lot of questions so we can get to know you and what your goals truly will be, we want to help you make smart investment and insurance decisions THE FIRST TIME! Let’s put you in a position so you never have to worry about repeating the process again. Greg Feese, CRPC® and Mark Bailey have combined for over 16 years of industry experience. Both are Fiduciaries and will always put their clients needs above their own. They have gained experience over the years to provide an insight on what clients can expect, regardless of what phase of life you are planning for or have already entered into. Greg & Mark will evaluate client portfolios, assess overall fees, run cost comparisions, evalluate tax liabilities, all while planning for social security, medical expenses, review pensions, and providing comprehensive insurance planning. Legacy financial advisors truly take a holistic approach to financial planning for our clients. Start Planning Your Financial Future Today! How did you choose your investments? Who decided the allocation in your IRA or 401k? What’s your risk tolerance during a bear market? Do you feel confident in the investment advice you have received? Is your portfolio properly diversified? What is the best strategy to minimize estate taxes or avoid probate? Is your financial advisor asking you all the right questions? Legacy wealth financial advisors will take the time to get to know you, what your financial goals and dreams consist of and then implement a plan you can understand and stick with. Although we will educate you and walk you through what we do, we realize it’s our job to know what to do and what kind of portfolio you need. So we build a level trust so you don’t have to worry about what you know only that you trust us to provide the outcome you are seeking. We will show you how to minimize risks, reduce debts, and grow and protect your wealth; all while making sure you do not have to repeat that process again. 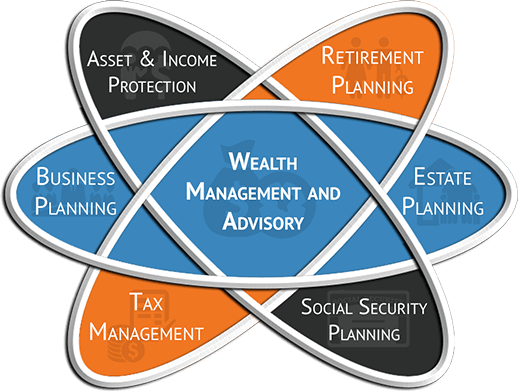 Legacy Wealth Management Group provides comprehensive fee-based wealth management & advisory services. We provide professional asset allocation management, investment services, portfolio analysis, life insurance, disability insurance, and long term care assessment, estate planning and retirement planning strategies to higher income professionals, business owners, athletes and other individuals. We will work with you on your personalized plan by scheduling regular reviews and making sure you have ongoing support during every stage before and during retirement. Wealth management is all about transparency, accountability and taking ownership of your financial future. You’ve worked hard for your wealth why pay excessive fees and expenses to add risk and likely little to no value to your portfolio? Proper diversification gives you a volatility reduction and reduces unnecessary risk if your investment portfolio. We are committed to our clients and understand you need a financial advisor you can trust and retain that trust by making solid economic rationale and empirical research. As a key and essential component to our business philosophy, Legacy Wealth Management is dedicated to improving the well-being of our community by providing comprehensive retirement & financial planning to families, professionals, athletes & business owners. This all encompassing plan may start at Wealth Management & investment advice but it never ends there. We are committed to provide the full spectrum of services that all play important roles in your financial planning. Retirement plan customized to fit your needs & financial goals. Designed to reduce the impact of taxes on your investment portfolio. The mutual fund products we utilize have asset allocation models with global diversification to help balance long term risk & minimize management fees. Retirement accumulation & income, life insurance, disability insurance, inheritance, estate planning, social security, healthcare, and college education planning. Providing freedom to choose what retirement strategy is best for you, our clients while setting a Fiduciary standard in what we do. 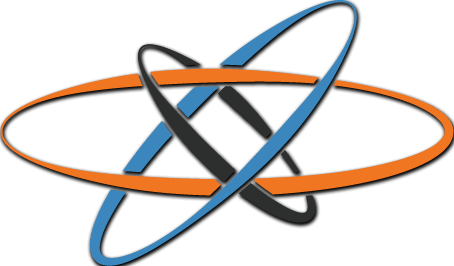 Legacy Client Portal software, which is coming soon will allow you to view all your accounts in one location, securely. Even if those accounts are not held at our firm. Track all your 401Ks, IRAs, brokerage, & even bank accounts securely!